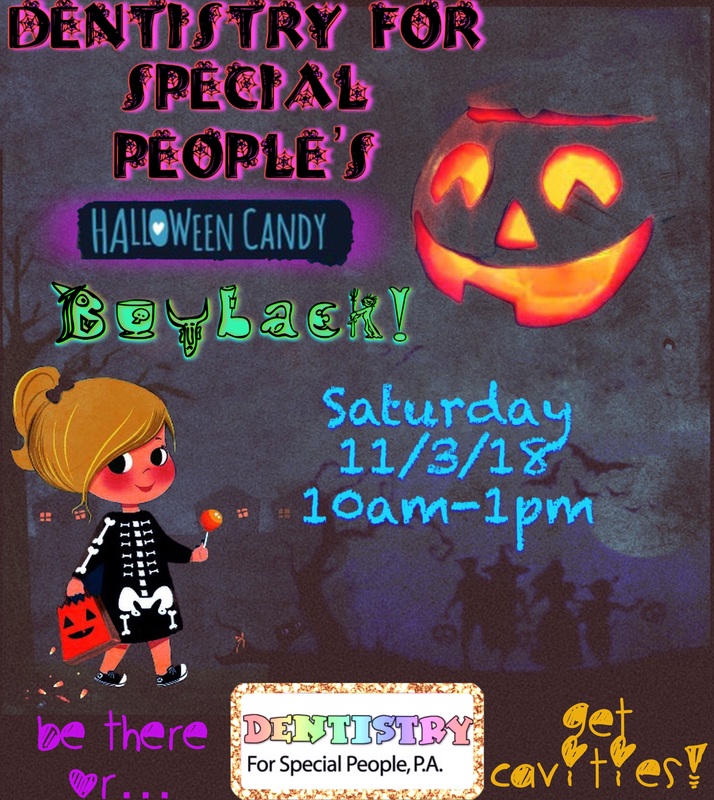 Dentistry For Special People is super excited to invite you to our 4th Annual Halloween Candy BuyBack! This year’s Buyback event will be held on Saturday, November 3rd, 2018, from 10am to 1pm, at both our Cherry Hill and Turnersville locations! If you are new to our Candy BuyBack event, it’s like this: Kids go Trick-or-Treating on Halloween and collect tons of candy, right? So parents, you then sort through their candy, take all the king size for yourself (wink, wink), and the let the kids pick out a certain amount that they keep for themselves. The kids then bring their unwanted, (or should we say, unneeded) Halloween candy to our office and we will “buy” that candy back at $1 per pound. The kids leave with the cash for their hard earned trick-or-treating, and we then send all of the candy we get off to be put into care packages for our troops who are overseas, serving to protect our nation. Last year we collected well over 700 pounds of candy, and we are expecting no less this year. We’ve said this before and we will say it again- the kindness and generosity of the kids in this community never ceases to amaze us- and the “BuyBack” part of this is our little way of giving back to the kids and families, who always give so much! For more details feel free to reach out via phone or email with any questions as well!